The brutal Chinese occupation of Tibet has created countless hardships for the Tibetan people, with so many looking to the West for safety and a new life outside India and Nepal. Many Tibetans have obtained western passports legally, but many more have in desperation turned to human traffickers and smugglers who make large amounts of cash with human trafficking rings. Starting in 2012, investigative reporters unearthed a well known and well organized Tibetan trafficking ring based in the United States and India. The activities of this particular Tibetan organized crime ring are widely known to the general public, making it easier for reporters to make connections and gather further information as to how it functions, and who has been involved. In depth and conclusive reporting on human trafficking within Tibetan society is difficult, as the victims frequently fear retaliation or public shaming for having come forward in the media. Despite the risks, using confidential sources, reporters gained further insight into the machinations of the Tibetan political underworld and its connections to criminal activity. In November of 2012, several sources testified that Thinley Kalsang, a wealthy Tibetan socialite and elected member of the NY/NJ Tibetan Community Association, was using his finances, social influence, and political connections via South India, to support Speaker of the Tibetan Parliament and present Sikyong candidate, Penpa Tsering. There are serious questions about Speaker Penpa Tsering’s influence on the internal politics of the New York based Tibetan community, and eventually the internal disintegration of Tibetan Youth Congress of NY/NJ. 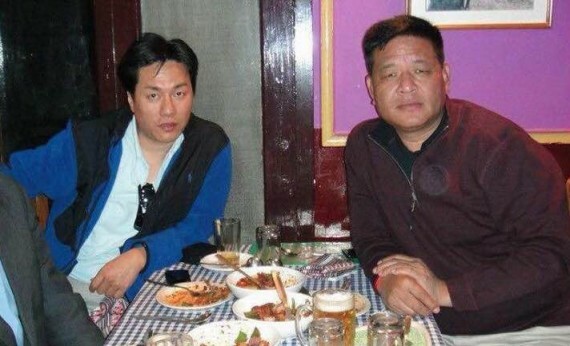 During this investigation, reporters looked for a connection with Penpa Tsering’s political influence, in particular his relationship with Thinley Kalsang. Sources have spoken of their lengthy friendship and business ties during their years together in South India but later more information led to a ground-breaking allegation. Kalsang, has been named repeatedly by sources as “the front man” of a complex human trafficking and visa broker ring, operating several decades to date. The New York City Tibetan Outreach Center, located on 3560 74th St. Apt 707 in Jackson Heights, Queens, has been functioning as the legitimate business front for unlicensed immigration “consultancy services”, all under the ownership of Kalsang. According to several non-profit watchdog websites, the tax-exempt status of the Outreach Center was revoked after failure to register with the IRS. 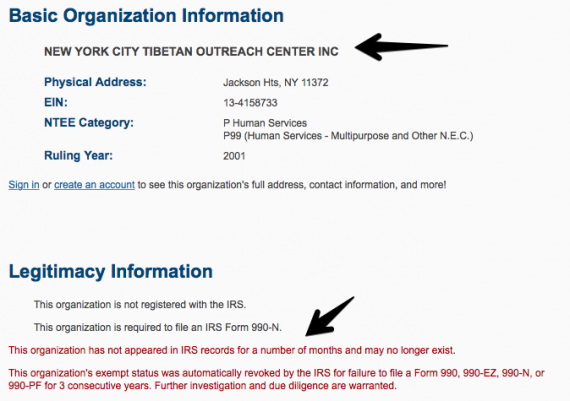 One site claims that the IRS had not received tax-exempt forms from Kalsang going back three years since 2011. Working as a multi-lingual translator, Kalsang told his “clients” that he was “employed by the Department of Homeland Security”, to quell any suspicion or worry that Tibetans may have about the nature of his work. Kalsang is well known at the Immigration and Natural Services Court in New York City. Several hundreds, if not thousands of unsuspecting refugees with Registered Foreigner status in India have been lured into Green Card scams, and false promises of Visas under the guise of this ‘non-profit’. Kalsang’s associate and supposed “mastermind” behind the ring was identified as ‘Lhakpa Tsering’, also working as an interpreter in New Delhi, India. Sources claim that Lhakpa was pushed out of a well-established Tibetan business based in South India, called ‘Paljor Handicraft’, after his business partners knew of his illegal activities. Amdo Lobsang Phuntsok, aka ‘Lobo’, has also been identified within the ring as being the main handler in smuggling Tibetan refugees from India, starting the process by shuffling them to New Delhi airport with false passports and forged documents. ‘Lobo’, a shadowy character in the Tibetan underworld, was publicly arrested in John F. Kennedy airport in 1985, for heroin trafficking and distribution. His dangerous connection to a Kashmiri heroin syndicate eventually forced his hand, where he made a secret deal to become a confidential informant with the Drug Enforcement Agency, and was later released without being charged publicly. Like Lhakpa Tsering, the supposed “mastermind” behind this ring, little is known of his whereabouts within India. Upon arrival in John F. Kennedy Airport, New York, Thinley Kalsang or a trusted associate would acquire all the necessary documentation to complete the smuggling route. Tibetans who had finished their travel circuit to New York often had their passports confiscated and were forced to work to pay off any accrued debt under the threat of being “reported to the INS and the Department of Homeland Security”. Kalsang also encouraged many Tibetans to lie on their INS forms, which has led many refugees to be deported as a result of his illegal “consultations”. The most important source reporters spoke with provided information about the connection with Penpa Tsering and Thinley Kalsang, and had detailed information about Penpa’s delegations arriving in the United States, using it as cover for the human trafficking ring. ‘Delegates’ posing as Ministers of the Tibetan Parliament were taken to the United States, dropped of at JFK or LaGuardia airport and then directed to Kalsang’s Outreach Center where they could later be provided false documents and ‘legal consultation’. 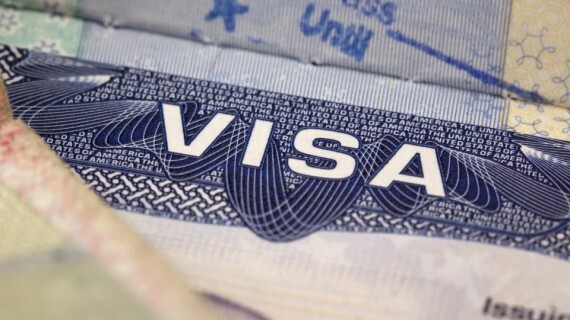 In the past 15 years Tibetans have had great difficulty obtaining visas from the US Embassy in India and Nepal. But Penpa Tsering is always able to obtain visas because he is in an official with the Tibetan Government in Exile, and therefore he can get US visitor visas ‘delegations’ to the US easily. Tsering has travelled at least twice with such groups to New York. U.S. Law Enforcement agencies were also informed (by several victims) of this in 2014 and began a slow but lengthy investigation. While the current criminal investigation is still ongoing, several victims of this trafficking ring have refused to come forward due to Kalsang’s recent diagnosis of cancer and potential heart surgery. A basic Google search of ‘Tibetan Visa Scams’ will show many stories of Tibetans falsifying papers and data in their attempts to enter the United States. Thinley Kalsang and ‘Lobo’ have exploited the fears of desperate displaced Tibetan peoples. It is well known that Tibetan Visa scams are well known to US Embassy and Immigration personnel, which is why Tibetans struggle to obtain legitimate tourist visas. The full story of this trafficking ring may never be known to the general Tibetan public or US Law Enforcement agencies, but with reliable sources and information collated over several years, readers can make their own conclusions as to what has occurred.